WBI and VentureCapital.org November Newsletter--New format with current trends! H ow to Raise Money panelists Jerry Henley (Rubicon Capital Consultants), Leif Elgethun (RetroLux, LLC), and Matt McKinlay (Advanced CFO Solutions). 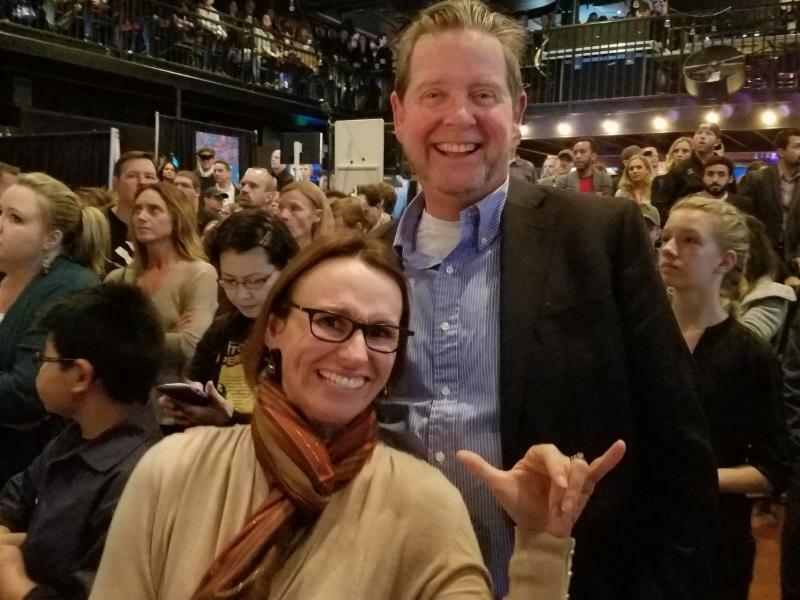 VentureCapital.org's Jennifer Meyer and President Brad Bertoch at Idaho Virtual Reality Council's Virtual Reality Bash. 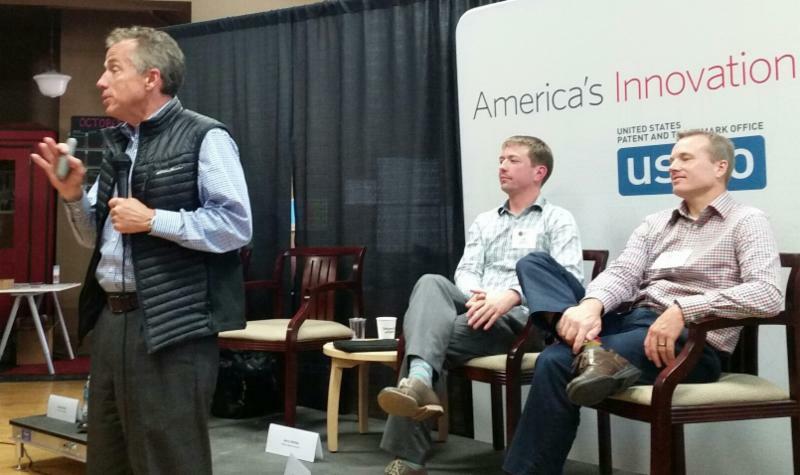 October highlights: Startup Week Boise and Investors Choice® applications! VentureCapital.org is glad to have been part of Boise Startup Week! There were over 50 free events that supported startups in the Boise community--and provided networking and educational benefits to participants! A big Thank You to Trailhead for hosting space for our How to Raise Money seminar! The organization is preparing for the 2017 Investors Choice® Venture Capital Conference. It will be two days of investing, innovative company presentations, networking, and fun! This year features a new ski/snowboard location. Tickets are now available! November features two Deal Forum Pitch Events, one in Boise and one in Ogden. Check out these and other community events to the right. Hope to see you there! VentureCapital.org is now running Salt Lake County's 25-year-old Economic Development Revolving Loan Fund (EDRLF). Focused on technology and manufacturing firms since 2007, the EDRLF has $7 million in funds available to small businesses within the County that do not typically qualify for traditional bank lending. This is the first time VentureCapital.org has had funds at its disposal for disbursement to entrepreneurs and small businesses. If you are a startup business located in Salt Lake County and have been turned down for a bank loan, contact us—you may qualify for EDRLF consideration. Go to the website page to learn more about the fund, as well as the terms and conditions. Watch the Kauffman Founders School's video on using conversation to advance your business. 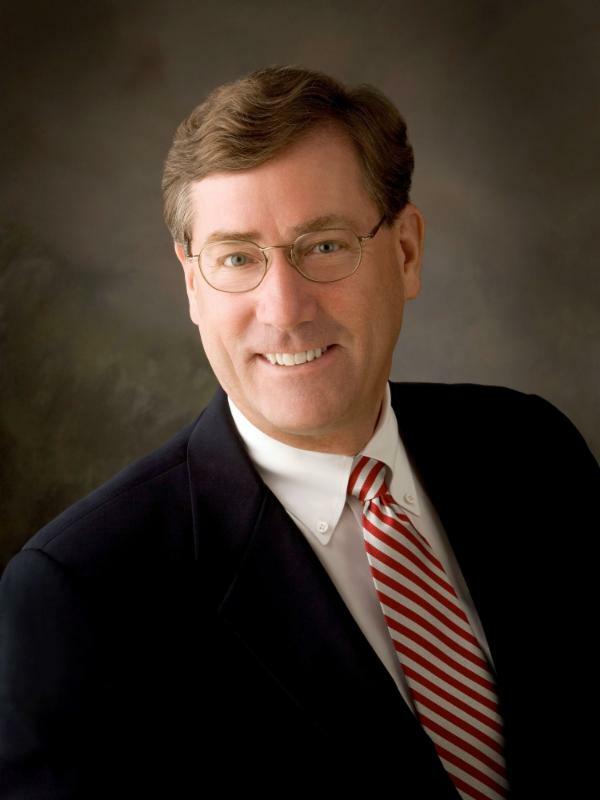 With November 8th just around the corner, Zions Bank CEO and President Scott Anderson discusses the importance of voting. Registration is now open for the 33rd Annual Investors Choice® Venture Capital Conference! This year​'s conference will be two days of networking and engaging with up-and-coming companies. Check out the registration page to learn more about the different events: Ski/Snowboard Day, Investors Reception, and the Conference itself! There are many ticket options available--including a package deal, a $250 savings! Get your early bird tickets today. Apply today to present at the oldest venture capital conference in the US! If you’re looking to raise money for your firm, apply now to become one of two dozen companies pitching their story at the Investors Choice® Conference! The application deadline is November 15th, 2016. Since 2009, 70% of the companies participating in this Conference have gone on to raise over $1 billion in angel and venture capital. Entrepreneurs receive 6-8 weeks of Investor-focused mentoring and advice from venture professionals before pitching to investors at the Conference. The 2016 Conference Cohort has already raised over $22 million. Dry Powder Report -- See how much money local Venture Capitalists have in their funds! Please email us to request a pdf of this report. Catch up on up-to-date investment trends below! Get the October break down of Utah and Idaho's economic outlooks, as well as key market trends! NOTE: If you are a Sponsor and you have Press Releases, corporate events, or organizational news you would like us to share here, please email us a link to the news and we will include it. Learn how you can become a sponsor and see a list of our 2016 sponsors. Need furniture for a great price? Contact M ergenthaler Transfer and Storage! Overstock moved to a new headquarters and Mergenthaler is handling liquidation of their furniture. They are selling at a deep discount with part of the proceeds going to the Utah Food Bank. NOTE: If you are an Alumni Company that has presented at a past Investor’s Choice Conference or a VentureCapital.org Deal Forum and you have Press Releases on financing events, new product launches, or milestones celebrations, please email us a link to the news and we will include it here.